On May 6th, 2010, the U.S. stock markets experienced an unusual decline (and an immediate upswing) that temporarily erased $1 trillion in market value (the Dow Jones Industrial Average plunged about 1000 points) and puzzled both actors and experts following the markets. Given the ongoing controversy about “flash orders” and its portrayed usage by high-frequency traders, this incident was quickly referred as the flash crash and just as quickly blame fell on the electronic trading industry. While it is true that some high-frequency trading firms stopped running their algorithms when the decline started (human traders stopped participating in the markets in Black Monday as well), some of them stayed in the market, and helped the markets recover just as quickly as the decline happened. Fast forward two years and we find a twit from the Associated Press with supposedly breaking news that President Obama was injured due to explosions at the White House. That report made $136 billion in market value temporarily disappear, with the Dow Jones Industrial Average quickly dropping 150 points before swinging back. Examples of dramatic swings can go all the way back to the origins of stock markets. We only need to take a look at Black Monday, October 19th, 1987, when the Dow Jones Industrial Average dropped by 508 points, 22.61%; by the end of October, stock markets in the United States had fallen by 22.68%, not showing any improvement for many weeks. Meanwhile, on May 6th, the Dow Jones had regained most of the drop only twenty minutes later. Like major technology innovations in the past, computer trading was blamed for Black Monday back in 1987; as observed by economist Richard Roll though, program trading strategies were used primarily in the United States, and not in markets such as Australia and Hong Kong where the crisis started. Therefore, it is unsurprising by now that high-frequency trading has been blamed for the flash crash, the now called Twitter crash, and mini-flash crashes of certain stocks, commodities and currencies. As Manoj Narang, CEO, Tradeworx, says in my book The Speed Traders, no matter what regulators do, there will be times when herd-like behavior among long-term investors will all be stampeding for the exits at the same time, and simply there won’t be enough high-frequency trading to cover the demand for liquidity. That is exactly what happened on May 6th, as described in painstaking detail in the CFTC/SEC report of September 30th, 2010; the report made clear that a mutual fund, identified by Reuters back in May 14 as Waddell & Reed Financial Inc., initiated a program to sell a total of 75,000 E-Mini contracts (valued at approximately $4.1 billion), certainly influenced by the pessimism in the markets due to street protests in Greece, among other reasons; the computer algorithm used to trade the position in the futures markets was set to target an execution rate set to 9% of the trading volume calculated over the previous minute, but without regard to price or time. Similarly, we will always experience technology and human errors. Dave Cummings, Chairman, Tradebot, would ask about the flash crash, “Who puts in a $4.1 billion order without a limit price?” That was the catalyst that initiated the flash crash. Knight Capital Group Inc.’s $440 million trading loss in August 1st, 2012, when the firm lost approximately $10 million per minute, is another recent example that comes to mind. On March 7th, 2013, the U.S. Securities and Exchange Commission announced Regulation SCI (Systems Compliance and Integrity). As explained by Commissioner Luis A. Aguilar, the proposed rule would move beyond the current voluntary program and require entities to establish, maintain, and enforce written policies and procedures reasonably designed to ensure that its systems have adequate levels of capacity, integrity, resiliency, availability, and security to maintain the entity’s operational capability and promote the maintenance of fair and orderly markets, mandate participation in scheduled testing of the operation of the entity’s business continuity and disaster recovery plans, including backup systems, and coordinate such testing on an industry- or sector-wide basis with other entities, and finally make, keep, and preserve records relating to the matters covered by Regulation SCI, and provide them to Commission representatives upon request. Electronic trading, like any other area of finance, should have sensible regulations imposed to promote sound trading practices and protect the average American investor from predatory behavior. If a market participant who does not use high-frequency trading believes that he or she cannot enter into fair transactions, then that individual will not invest in that market. But regulators could restore trust in the market without eliminating high-speed trading. They simply must be armed to analyze trading activity in real time. In an area of finance predicated on speed, regulation must be as well. Real-time information would allow regulators to see everything that is occurring in the markets, no matter how quickly the order information is being posted and transactions are occurring. This would require significant commitments to invest in both human capital and information technology, but the investment is worthwhile: it is vital for regulators to level the playing field of electronic trading in general. Real-time policing for potential malfeasance is the most efficient way to regulate high-frequency trading. Analysis of real-time data would provide for effective regulation of these trades. This in turn would provide peace of mind for market participants big and small. Having spoken with professionals in the world’s most important financial centers, I can attest that America’s capital markets continue being the envy of the world, thanks to the innovation people like high-frequency traders, educated in the country’s top schools, bring to the markets. Let’s allow innovations like high-frequency trading to continue and regulators to police them accordingly, and not try to ban them, as vocal activists tried once with major innovations such as automobiles and derivatives. Is High-Frequency Trading the Root of our Problems? It is the Economy, Stupid! Furthermore, U.S. congressman Ed Markey tried to persuade the SEC that high-frequency trading was driving investors off the electronic trading highway completely because it was eroding confidence in U.S. markets. Congressman Markey wrote that “sophisticated trading firms can make full use of light speed HFT algorithms, while the ordinary investor day-trading his 401k remains at more terrestrial speeds. There is a real risk that algorithmic trading is making investors hesitant to re-enter the equity markets because they fear that the entire game is rigged.” Ultimately, he proposed that HFT should be curtailed immediately. Data from Trim Tabs Investment Research appeared to support Mr. Saluzzi and Congressman Markey’s concerns. Their data show outflows from U.S. equity mutual funds in 2008 hit a record $148 billion; in 2009, confidence appeared to be stabilizing as outflows from U.S. equity mutual funds totaled just $28 billion, only to grow again in 2010 to hit $81 billion, $132 billion in 2011 and last year totaled $130 billion. So what would they say now that the Washington-based Investment Company Institute has revealed that equity mutual funds have gathered $29.9 billion in January’s first three weeks, more than for any full month since 2006? Moreover, long-term funds, which exclude money-market vehicles, attracted $64.8 billion in the first three weeks of the month. The previous record was $52.6 billion for all of May 2009. What was the catalyst of the change in trend? Was HFT suddenly disappearing from the equity markets? As we have suspected in the past, it was the health of the economy. The dysfunctional behavior of the leadership in Washington, leading to a crisis of significant proportions in December 2012, was holding market participants from making investment decisions; when Washington still managed to temporarily solve the fiscal cliff issue, allowing the government to remove its borrowing cap and removing the terrifying prospect of sovereign default, investors rushed into stocks (and bonds too), setting the stage for the biggest month on record for deposits into U.S. mutual funds. We are looking at forces beyond the niche of algorithmic and high-frequency trading in action here. Signs of improvement in the U.S. economy and a rising stock market (that pushed the Dow Jones Industrial Average above 14,000 on February 1 for the first time since 2007) are now prompting Americans to step up their investments. Hiring climbed in January as well, providing further evidence that the U.S. labor market is making progress. As the economy overall makes progress, inflows will increase as more and more households and companies start to invest in the financial markets, creating a net impact in the real economy, and further reinforcing the performance of the markets. Once again, the phrase “it is the economy, stupid!” remains as valid as ever. From The New York Times, once the hottest thing to hit Wall Street in years, high-speed or high-frequency trading — known as H.F.T. — is now struggling to make gains in today’s stock market. In my latest piece in The New York Times, I argue that wrongdoing existed long before the advent of high-frequency trading, and it will always be a part of markets. High-frequency trading is simply a tool; it can be positive or negative for investors and markets. To maximize the benefit and minimize the downsides, regulators need to catch up with the technology. High-frequency trading has been under a microscope since the infamous “flash crash” in 2010. Let’s remember, though: The market rebounded that day almost as fast as it fell, and regulators ultimately determined that the crash was initiated by human error. But many in the financial sector and in government were uncomfortable at the thought that high-frequency trading programs could vaporize huge amounts of equity in a matter of minutes. 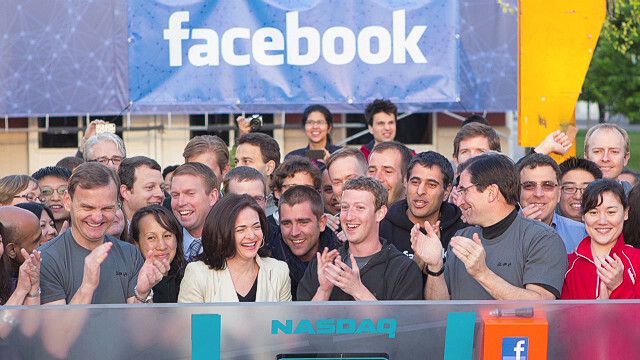 As reported by Bloomberg, Facebook Inc.’s $11.8 billion initial public offering will cement the status of 27-year-old Mark Zuckerberg as one of the world’s richest men and put his social network among the highest-valued companies in the U.S. Facebook is offering about 337.4 million shares for $28 to $35 each, according to a regulatory filing yesterday. At the upper end of that range, the co-founder’s stake would be $17.6 billion, making him richer than Microsoft Corp.’s Steve Ballmer and Russian steel billionaire Vladimir Lisin, who are both twice his age, according to the Bloomberg Billionaires Index. Zuckerberg, who began the service for Harvard classmates as a 19-year-old in his dorm room, built Facebook into the most popular social-networking site in the world, topping 900 million users last quarter. Now he has to prove he has the leadership skills to deliver enough growth to justify the company’s valuation, said Paul Saffo, managing director at Discern Analytics in San Francisco. That being said, investors and traders in Poland and Ukraine will be paying close attention to Edgar Perez’s The Speed Traders Workshop 2012, “How Algorithmic and High Frequency Traders Leverage Profitable Strategies to Find Alpha in Equities, Options, Futures and FX” (http://www.TheSpeedTradersWorkshop.com) on May 11 in Warsaw and May 18 in Kiev. Edgar Perez is widely regarded as the preeminent expert in the specialized area of high-frequency trading; he is the author of The Speed Traders, An Insider’s Look at the New High-Frequency Trading Phenomenon That is Transforming the Investing World (http://www.TheSpeedTraders.com), published by McGraw-Hill Inc. (2011). The Speed Traders Workshop 2012 Warsaw and Kiev reveal how high-frequency trading players are succeeding in the global markets and driving the development of algorithmic trading at breakneck speeds from the U.S. and Europe to India, Singapore and Brazil. Edgar Perez has been featured on CNBC Cash Flow (with Oriel Morrison), CNBC Squawk Box (with Geoff Cutmore), BNN Business Day (with Kim Parlee), TheStreet.com (with Gregg Greenberg), Channel NewsAsia Business Tonight and Cents & Sensibilities (with Lin Xue Ling), NHK World, iMoney Hong Kong, Hedge Fund Brief, The Wall Street Journal, The New York Times, Dallas Morning News, Valor Econômico, The Korea Herald, FIXGlobal Trading, The Korea Times, TODAY Online, Oriental Daily News and Business Times. Mr. Perez has been engaged to present to the U.S. Securities and Exchange Commission, CFA Singapore, Hong Kong Securities Institute, Courant Institute of Mathematical Sciences at New York University and Pace University, among other public and private institutions. In addition, Mr. Perez has spoken at a number of global conferences, including Harvard Business School’s Venture Capital & Private Equity Conference (Boston), High-Frequency Trading Leaders Forum (New York, Chicago, London), MIT Sloan Investment Management Conference (Cambridge), Institutional Investor’s Global Growth Markets Forum (London), Technical Analysis Society (Singapore), TradeTech Asia (Singapore), FIXGlobal Face2Face (Seoul) and Private Equity Convention Russia, CIS & Eurasia (London). Mr. Perez was a vice president at Citigroup, a senior consultant at IBM, and a consultant at McKinsey & Co. in New York City. Mr. Perez has an undergraduate degree from Universidad Nacional de Ingeniería, Lima, Peru (1994), a Master of Administration from Universidad ESAN, Lima, Peru (1997) and a Master of Business Administration from Columbia Business School, New York, with a dual major in Finance and Management (2002). He belongs to the Beta Gamma Sigma honor society. Mr. Perez resides in the New York City area and is an accomplished salsa and hustle dancer. The Speed Traders unveiled dates today for Edgar Perez’s full-day seminars, The Speed Traders Workshop 2012: How Algorithmic and High Frequency Traders Leverage Profitable Strategies to Find Alpha in Equities, Options, Futures and FX in Europe, presentations that will be followed by the rest of the world including dates in Southeast Asia, Latin America and North America, as published at http://www.TheSpeedTradersWorkshop.com. The Speed Traders Workshop 2012 Hong Kong, Sao Paulo, Seoul and Kuala Lumpur put Perez, author of The Speed Traders, An Insider’s Look at the New High-Frequency Trading Phenomenon That is Transforming the Investing World (http://www.TheSpeedTraders.com), published by McGraw-Hill Inc. (2011) and currently being translated into Chinese and Portuguese, on the map as the preeminent global expert in algorithmic and high-frequency trading. The global high-frequency tour’s first leg will hit Europe and Asia through early June, encompassing 5 presentations at major financial centers that include Warsaw, Kiev, Beijing, Shanghai, Jakarta and Seoul. Perez will also present in New York and London. Beyond that, current plans call for him to visit Hong Kong in August, followed by Moscow, Dubai, Kuala Lumpur and Singapore towards the beginning of the fall, and then Chicago in October. 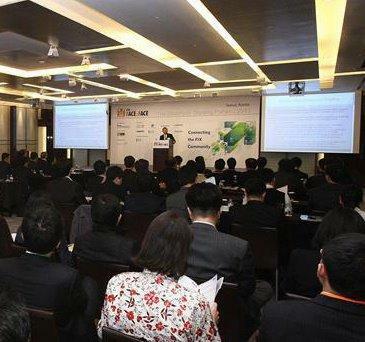 Perez is widely regarded as the preeminent speaker in the specialized area of high-frequency trading. Perez has been featured on CNBC Cash Flow (with Oriel Morrison), CNBC Squawk Box (with Geoff Cutmore), BNN Business Day (with Kim Parlee), TheStreet.com (with Gregg Greenberg), Channel NewsAsia Business Tonight and Cents & Sensibilities (with Lin Xue Ling), NHK World, iMoney Hong Kong, Hedge Fund Brief, The Wall Street Journal, The New York Times, Dallas Morning News, Valor Econômico, The Korea Herald, FIXGlobal Trading, The Korea Times, TODAY Online, Oriental Daily News and Business Times. Perez has been engaged to present to the U.S. Securities and Exchange Commission, CFA Singapore, Hong Kong Securities Institute, Courant Institute of Mathematical Sciences at New York University and Pace University, among other public and private institutions. In addition, Perez has spoken at a number of global conferences, including Harvard Business School’s Venture Capital & Private Equity Conference (Boston), High-Frequency Trading Leaders Forum New York, Chicago and London (http://www.HFTLeadersForum.com), MIT Sloan Investment Management Conference (Cambridge), Institutional Investor’s Global Growth Markets Forum (London), Technical Analysis Society (Singapore), TradeTech Asia (Singapore), FIXGlobal Face2Face (Seoul) and Private Equity Convention Russia, CIS & Eurasia (London). Perez was a vice president at Citigroup, a senior consultant at IBM, and a consultant at McKinsey & Co. in New York City. Perez has an undergraduate degree from Universidad Nacional de Ingeniería, Lima, Peru (1994), a Master of Administration from Universidad ESAN, Lima, Peru (1997) and a Master of Business Administration from Columbia Business School, New York, with a dual major in Finance and Management (2002). He belongs to the Beta Gamma Sigma honor society. Perez resides in the New York City area and is an accomplished salsa and hustle dancer. The Speed Traders Workshop 2012 kicks off 2012 with a series of presentations in the world’s most important financial centers: Warsaw, Poland, May 11; Kiev, Ukraine, May 18; New York, May 22; Beijing, China, May 30; Shanghai, China, June 6; Jakarta, Indonesia, June 13; Seoul, South Korea, June 21; London, June 26; Mexico City, Mexico, July 27; Hong Kong, August 4; Moscow, Russia, August 10; Dubai, UAE, September 9; Kuala Lumpur, Malaysia, September 12; Singapore, September 15, and Chicago, October 2. Edgar Perez, author of The Speed Traders, and presenter at upcoming The Speed Traders Workshop 2012 Kuala Lumpur: How High Frequency Traders Leverage Profitable Strategies to Find Alpha in Equities, Options, Futures and FX, April 12th, was recently featured by BFM 89.9, Malaysia’s top business station; the podcast can be downloaded at http://www.bfm.my/2012-04-09-speed-traders-edgar-perez.html and http://podcast.bfm.my/podcast/e?file=assets/files/Resource_centre/2012_04_09_Edgar_Speed.mp3&t=High-FrequencyTrading. Trading of equities on Bursa will be a new ballgame once computer-driven ultra-high frequency trading is introduced, said Mr. Perez, author and former Citigroup vice president. He added that high-speed trading already makes up six per cent of trades on the Bursa derivatives market and the stock exchange operator was reported to be gearing up for the introduction of ultra-fast trading of equities. Mr. Perez is widely regarded as the preeminent speaker and networker in the specialized area of high-frequency trading. He is author of The Speed Traders, An Insider’s Look at the New High-Frequency Trading Phenomenon That is Transforming the Investing World, published by McGraw-Hill Inc. (2011) and currently being translated into Chinese and Portuguese, course director of The Speed Traders Workshop 2012, How High Frequency Traders Leverage Profitable Strategies to Find Alpha in Equities, Options, Futures and FX (Hong Kong, Sao Paulo, Seoul, and Kuala Lumpur). Edgar Perez, author of The Speed Traders, and presenter at upcoming The Speed Traders Workshop 2012 Kuala Lumpur: How High Frequency Traders Leverage Profitable Strategies to Find Alpha in Equities, Options, Futures and FX, April 12th, was recently featured by The Malaysian Insider, in their note “Get ready for super-fast trading on Bursa, says US author” (http://www.themalaysianinsider.com/business/article/get-ready-for-super-fast-trading-on-bursa-says-us-author). Journalist Lee Wei Lian reports that trading of equities on Bursa will be a new ballgame once computer-driven ultra-high frequency trading is introduced, said Edgar Perez, author and former Citigroup vice president. He adds that high-speed trading already makes up six per cent of trades on the Bursa derivatives market and the stock exchange operator is reported to be gearing up for the introduction of ultra-fast trading of equities. Seoul (South Korea), Kuala Lumpur (Malaysia), Warsaw (Poland), Kiev (Ukraine) and Beijing and Shanghai (China) are just a few of the world’s financial centers where Mr. Edgar Perez, author of The Speed Traders, An Insider’s Look at the New High-Frequency Trading Phenomenon That is Transforming the Investing World, will bring his well-attended full-day seminar, The Speed Traders Workshop 2012: How High Frequency Traders Leverage Profitable Strategies to Find Alpha in Equities, Options, Futures and FX. Mr. Perez has been engaged to present to the U.S. Securities and Exchange Commission (SEC), CFA Singapore, Hong Kong Securities Institute, Courant Institute of Mathematical Sciences at New York University and Pace University, among other institutions. In addition, Mr. Perez has spoken at Harvard Business School’s Venture Capital & Private Equity Conference (Boston), High-Frequency Trading Leaders Forum (New York, Chicago, Hong Kong, Sao Paulo, London, Singapore), MIT Sloan Investment Management Conference (Cambridge), High-Frequency Trading Happy Hour (New York), Institutional Investor’s Global Growth Markets Forum (London), Technical Analysis Society (Singapore), TradeTech Asia (Singapore), FIXGlobal Face2Face (Seoul), 2nd Private Equity Convention Russia, CIS & Eurasia (London), among other global forums. The Speed Traders Workshop 2012 kicks off 2012 with a series of presentations in the world’s most important financial centers: Seoul, South Korea, March 28; Kuala Lumpur, Malaysia, April 12; Doha, Qatar, April 18, Warsaw, Poland, May 11; Kiev, Ukraine, May 18; Singapore, May 26; Beijing, China, May 30; Shanghai, China, June 6; Jakarta, Indonesia, June 13; Mexico City, Mexico, July 27; Hong Kong, August 4, and Moscow, Russia, August 10. High-frequency traders have been called many things, from masters of the universe and market pioneers to exploiters, computer geeks, and even predators. Everyone in the business of investing has an opinion of speed traders, but how many really understand how they operate? The shadow people of the investing world, today’s high-frequency traders have decidedly kept a low profile, until The Speed Traders Workshop 2012: How High Frequency Traders Leverage Profitable Strategies to Find Alpha in Equities, Options, Futures and FX. Mr. Edgar Perez, course director, will bring his well-attended workshops to Seoul, South Korea, March 28, and Kuala Lumpur, Malaysia, April 12. The Speed Traders Workshop 2012 opens the door to the secretive world of high-frequency trading, the most controversial form of investing today; in the name of protecting the algorithms they have spent so much time perfecting, speed traders almost never talk to the press and disclose as little as possible about how they operate. This workshop, led by Mr. Perez, author of The Speed Traders, An Insider’s Look at the New High-Frequency Trading Phenomenon That is Transforming the Investing World, reveals how high-frequency trading players are succeeding in the global markets and driving the development of algorithmic trading at breakneck speeds from the U.S. and Europe to India, Singapore and Brazil. The Speed Traders Workshop 2012 in Seoul and Kuala Lumpur kicks off a series of presentations in the world’s most important financial centers: Doha, Qatar, April 18, Warsaw, Poland, May 11; Kiev, Ukraine, May 18; Singapore, May 26; Beijing, China, May 30; Shanghai, China, June 6; Jakarta, Indonesia, June 13; Mexico City, Mexico, July 27; Hong Kong, August 4, and Moscow, Russia, August 10. Edgar Perez will deliver an exclusive presentation on ‘How Speed Traders Leverage Cutting-Edge Strategies in the Post-Flash Crash World’ to students, faculty and alumni of the Escola de Economia de São Paulo da Fundação Getulio Vargas (FGV-EESP), Brazil, January 30th, 2012. Mr. Perez, the author of The Speed Traders, Modern Finance Bookof 2012, will review current developments in the algorithmic and high frequency worlds and opportunities and challenges for the industry moving forward. São Paulo School of Economics (Escola de Economia de São Paulo) started the activities of its undergraduate course in 2004. 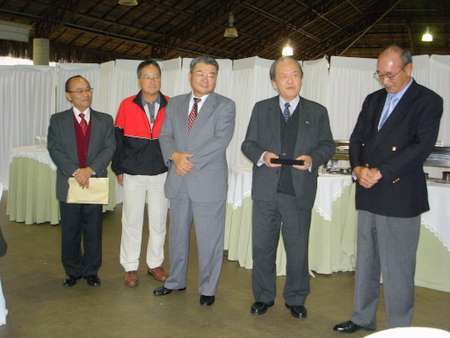 Before that, the undergraduation activities of Fundação Getulio Vargas, in São Paulo, concentrated in the areas of public and private business administration. 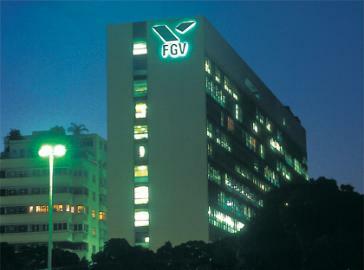 However, since the 80´s FGV already offered graduation courses in Economics at FGV-EAESP. Thus, aiming at enlarging the scope of its action, it created São Paulo School of Economics, encompassing the undergraduate course, the academic and professional graduate courses and the continuing education and specialization courses in Economics. In creating São Paulo School of Economics FGV had as its purpose the advancement of a centre of excellence in learning and research which contributed to the economic and social development of the country and to the pursuit of a national identity. Faculdade de Economia, Administração e Contabilidade, Universidade de São Paulo (FEA USP), or School of Economics, Business and Accounting at the University of São Paulo, is a teaching and research institution renowned across the world for its excellence in academic production and undergraduate and graduate programs. The FEA-USP was founded more than 60 years ago to prepare professionals in business, economics and accounting in a nation whose economy was going through a process of democratization after World War II. The school’s initial goal, one which exists to this day, was to form professionals who can contribute to society and make a difference in a positive way. Decades after its creation, FEA continues to set national and international standards in its field. 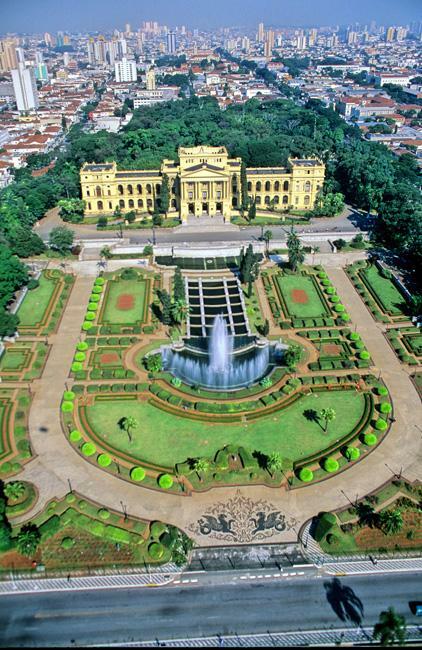 The school follows the high standards of the University of São Paulo and combines its knowledge of the Brazilian reality with the methodology of reputed international institutions to distinguish itself in the preparation of economists, administrators and accounting specialists. Mr. Perez will also present at BM&FBovespa The Speed Traders Workshop 2012 Sao Paulo: How High Frequency Traders Leverage Profitable Strategies to Find Alpha in Equities, Options, Futures and FX, on February 8th. This workshop will reveal how high-frequency trading players are succeeding in the global markets and driving the development of algorithmic trading at breakneck speeds from the U.S. and Europe to India, Singapore and Brazil, and kicks off a series of presentations in the world’s most important financial centers: Dubai, January 25; Seoul, South Korea, March 28; Kuala Lumpur, Malaysia, April 11; Warsaw, Poland, May 11; Kiev, Ukraine, May 18; Singapore, May 26; Shanghai, China, June 6; Jakarta, Indonesia, June 13; Mexico City, Mexico, July 27; Hong Kong, August 4, and Moscow, Russia, August 10. 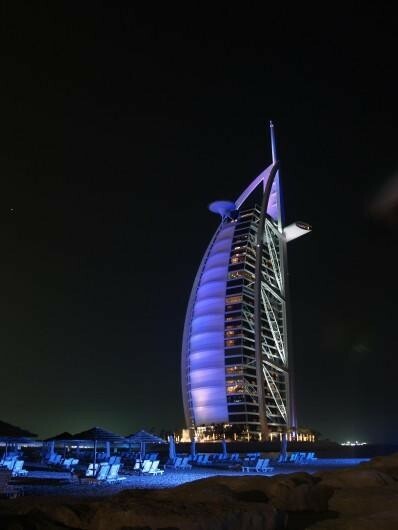 Burj Al Arab, the luxury hotel in Dubai, United Arab Emirates managed by the Jumeirah Group and built by Said Khalil, characterizes itself as the world’s only “7-star” property. Why? It features the tallest atrium lobby in the world at 180 meters. It is formed by the building’s V-shaped span, which dominates the interior of the hotel, and takes up over 1/3 of the interior space. It is one of the most expensive hotels in the world. The cost of staying at a suite begins at $1,000 per night. The Royal Suite is the most expensive, at $28,000 per night. Such hyperbole is not unlike terms employed to describe high-frequency trading, topic of Edgar Perez’s The Speed Traders Workshop 2012Dubai on January 25. The Speed Traders Workshop 2012 Dubai kicks off a series of presentations in the world’s most important financial centers: Sao Paulo, Brazil, February 8; Seoul, South Korea, March 28; Kuala Lumpur, Malaysia, April 11; Warsaw, Poland, May 11; Kiev, Ukraine, May 18; Singapore, May 26; Shanghai, China, June 6; Jakarta, Indonesia, June 13; Mexico City, Mexico, July 27; Hong Kong, August 4, and Moscow, Russia, August 10. Sao Paulo is the largest city in Brazil, the largest city in the southern hemisphere and South America, and the world’s seventh largest city by population. The metropolis is anchor to the Sao Paulo metropolitan area, ranked as the second-most populous metropolitan area in the Americas and among the five-largest metropolitan areas on the planet. Now it is the first and only city in South America where Edgar Perez, author of The Speed Traders, is bringing The Speed Traders Workshop 2012 Sao Paulo, February 8th. Edgar Perez, Adjunct Professor at the Polytechnic Institute of New York University, will lead The Speed Traders Workshop 2012 Sao Paulo: How High Frequency Traders Leverage Profitable Strategies to Find Alpha in Equities, Options, Futures and FX (http://www.thespeedtradersworkshop.com), workshop that will reveal how high-frequency trading players are succeeding in the global markets and driving the development of algorithmic trading at breakneck speeds from the U.S. and Europe to India, Singapore and Brazil. The Speed Traders Workshop 2012 Sao Paulo kicks off a series of presentations in the world’s most important financial centers: Dubai, January 25; Seoul, South Korea, March 28; Kuala Lumpur, Malaysia, April 11; Warsaw, Poland, May 11; Kiev, Ukraine, May 18; Singapore, May 26; Shanghai, China, June 6; Jakarta, Indonesia, June 13; Mexico City, Mexico, July 27; Hong Kong, August 4, and Moscow, Russia, August 10. Burj Khalifa, known as Burj Dubai prior to its inauguration, is a skyscraper in Dubai, United Arab Emirates, and is currently the tallest manmade structure in the world, at 829.84 m. Not only that, it is the tallest skyscraper to top of antenna, the tallest structure ever built, the tallest extant structure, the tallest freestanding structure, and the building with most floors: 160. Would there be something that induces more vertigo than this avant-garde structure? Edgar Perez’s The Speed Traders Workshop 2012Dubai on January 25. Mr. Edgar Perez, author of The Speed Traders, and Adjunct Professor at the Polytechnic Institute of New York University, will lead The Speed Traders Workshop 2012 Dubai: How High Frequency Traders Leverage Profitable Strategies to Find Alpha in Equities, Options, Futures and FX (http://www.thespeedtradersworkshop.com), on January 25, 2012. Mr. Perez will reveal at The Speed Traders Workshop 2012Dubai how high-frequency trading players are succeeding in the global markets and driving the development of algorithmic trading at breakneck speeds from the U.S. and Europe to India, Singapore and Brazil. The Speed Traders Workshop 2012 Dubai opens the door to the secretive world of high-frequency trading, the most controversial form of investing today; in the name of protecting the algorithms they have spent so much time perfecting, speed traders almost never talk to the press and disclose as little as possible about how they operate. The Speed Traders Workshop 2012 Dubai will reveal how high-frequency trading players are succeeding in the global markets and driving the development of algorithmic trading at breakneck speeds from the U.S. and Europe to India, Singapore and Brazil. 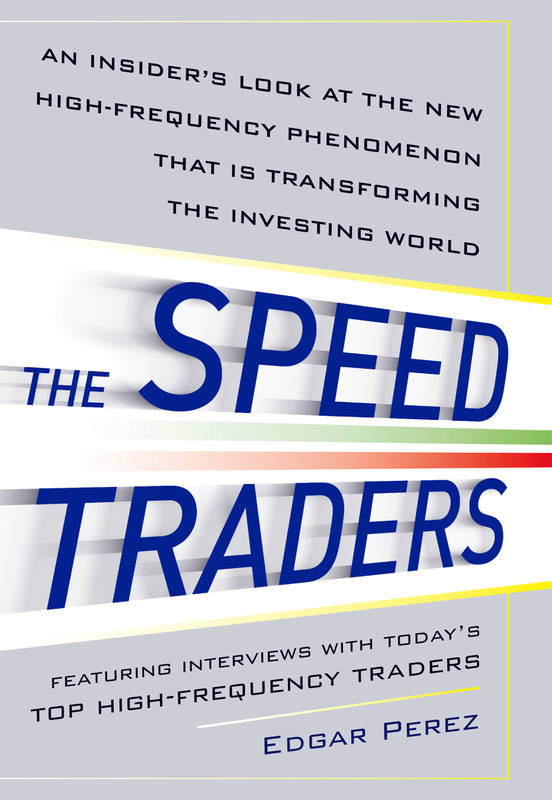 The Speed Traders, An Insider’s Look at the New High-Frequency Trading Phenomenon That is Transforming the Investing World (http://www.thespeedtraders.com), by Mr. Edgar Perez , has been selected as Modern Finance Book of 2011 by prestigious financial blog Modern Finance Report. 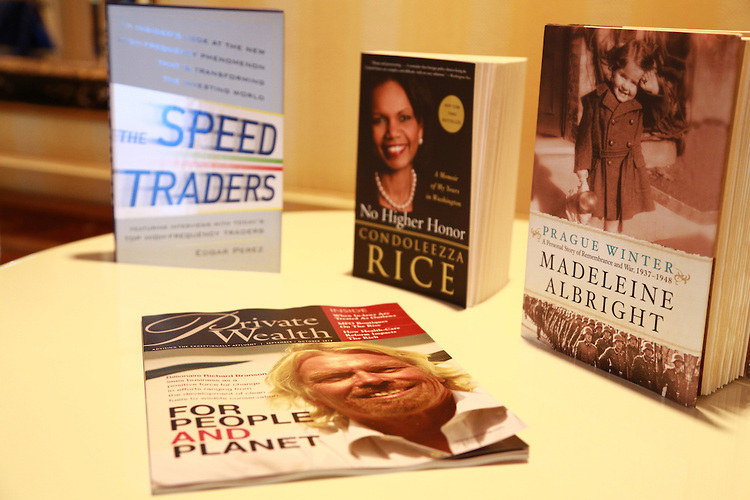 As another year draws to a close, editors at Modern Finance Report shared with readers some of their favorite business books of the year. Edgar Perez will lead The Speed Traders Workshop 2011: How High Frequency Traders Leverage Profitable Strategies to Find Alpha in Equities, Options, Futures and FX (http://www.thespeedtradersworkshop.com), in Hong Kong, December 12, 2011. Mr. Perez, author of The Speed Traders, An Insider’s Look at the New High-Frequency Trading Phenomenon That is Transforming the Investing World (http://www.thespeedtraders.com), will reveal at The Speed Traders Workshop 2011 Hong Kong how high-frequency trading players are succeeding in the global markets and driving the development of algorithmic trading at breakneck speeds from the U.S. and Europe to India, Singapore and Brazil. Charles Li, Chief Executive Officer of Hong Kong Exchanges and Clearing Limited (HKEx), published on 26 July an article in Chinese on HKEx’s market reform; in the article, he pointed out that the enhancement of their infrastructure was a top priority in the Strategic Plan. 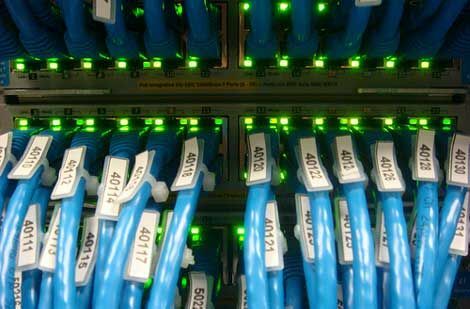 They had begun upgrading their trading and information systems to the next generation, building a new data centre in Tseung Kwan O and developing hosting services. In addition, he indicated that he didn’t not agree with the view that enhancing their IT infrastructure favored high frequency traders or the large brokers. Building the IT infrastructure was for him like building a highway: “We should not abandon highway construction just because a few do not want to invest in new cars or a few fear accidents. We believe Hong Kong’s current market framework, which includes stamp duty, effectively limits high-frequency trading, just like a highway with many toll booths discourages speeding. Besides, even if we don’t build the highway, we cannot prevent others from doing so and diverting liquidity, leading to market fragmentation.” No doubt it won’t long before high-frequency trading races on Hong Kong’s fast information highways. The Speed Traders Workshop 2011 Hong Kong (http://thespeedtradersworkshophk.eventbrite.com) opens the door to the secretive world of high-frequency trading, the most controversial form of investing today; in the name of protecting the algorithms they have spent so much time perfecting, speed traders almost never talk to the press and disclose as little as possible about how they operate. 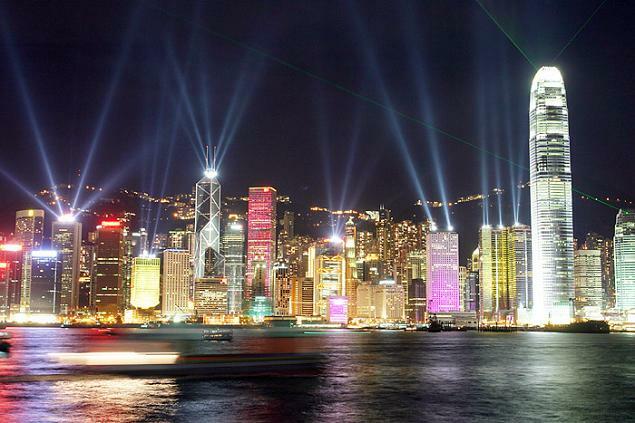 The Speed Traders Workshop 2011Hong Kong will reveal how high-frequency trading players are succeeding in the global markets and driving the development of algorithmic trading at breakneck speeds from the U.S. and Europe to India, Singapore and Brazil. Mr. Edgar Perez, author of The Speed Traders, An Insider’s Look at the New High-Frequency Trading Phenomenon That is Transforming the Investing World (http://www.thespeedtraders.com), will present today at FIXGlobal Face2Face, Seoul, South Korea, on “The Present and Future of High-Frequency Trading“. Mr. Edgar Perez, author of The Speed Traders, An Insider’s Look at the New High-Frequency Trading Phenomenon That is Transforming the Investing World (http://www.thespeedtraders.com), was featured on Channel NewsAsia, Asia Business Tonight, on the upcoming roll-out plan of ASEAN Trading Link. The roll-out plan of the ASEAN Trading Link will see the collaboration of seven major stock exchanges in Asia, and experts have warned stock exchanges to approach the plans with deliberation. Announced on Thursday, the first stage will have the Singapore Exchange and Bursa Malaysia connected by June 2012. However, experts said there could be challenges along the way. Mr. Edgar Perez, author of The Speed Traders, An Insider’s Look at the New High-Frequency Trading Phenomenon That is Transforming the Investing World (http://www.thespeedtraders.com), will be presenting at TradeTech Asia, Singapore, November 16, on “High Frequency Traders – The New Masters of the Universe?”. The presentation can be downloaded through this link (http://www.TheSpeedTradersWorkshop.com). TradeTech Asia, with over 650+ attendees, 300+ buy-side traders, senior representatives from the major exchanges, regulators, brokers and technology experts, is a one-stop-shop for the latest updates in electronic equity trading and more. Topics to be covered include algorithmic trading, dark pools, market fragmentation, country-specific updates and international case-studies. This year’s event also features specific streams dedicated to high-frequency trading and related IT architecture, and another focusing on hedge funds trading and investment across Asia. Mr. Perez is widely regarded as the pre-eminent networker in the specialized area of high-frequency trading. He has been featured on CNBC Cash Flow with Oriel Morrison, BNN Business Day with Kim Parlee, TheStreet.com with Gregg Greenberg, Channel NewsAsia Cent & Sensibilities with Lin Xue Ling, The Wall Street Journal, The New York Times, The Dallas Morning News, Los Angeles Times, iMoney Hong Kong, Hedge Fund Brief, Oriental Daily News Hong Kong, and more. He has been engaged as speaker at Harvard Business School’s 17th Annual Venture Capital & Private Equity Conference, High-Frequency Trading Leaders Forum 2011 (New York, Chicago, Hong Kong, Sao Paulo, Singapore), CFA Singapore, Hong Kong Securities Institute, Courant Institute of Mathematical Sciences at New York University (New York), Global Growth Markets Forum (London), Technical Analysis Society (Singapore), Middle East Hedge Funds Investors Summit 2012 (Dubai, UAE), among other global forums. 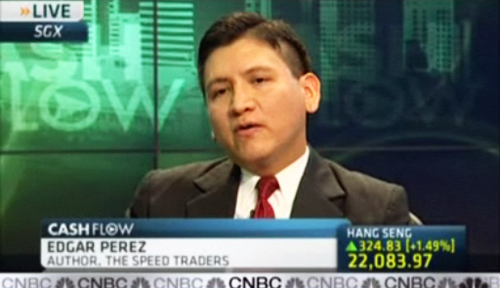 Edgar Perez, Author, The Speed Traders, will be featured Keynote Speaker at High-Frequency Trading Leaders Forum 2011 Singapore (http://www.HFTLeadersForum.com), November 21-23, forum organized by Golden Networking in the world’s major financial centers, including New York, Chicago, Hong Kong, Sao Paulo and London. Mr. Perez is widely regarded as the pre-eminent networker in the specialized area of high-frequency trading. He is author of The Speed Traders, published by McGraw-Hill, founder of Golden Networking and host of High-Frequency Trading Happy Hour business receptions in New York City, Chicago, London, Hong Kong and Singapore. Mr. Perez has been featured on CNBC Cash Flow (with Oriel Morrison), BNN Business Day with Kim Parlee, TheStreet.com (with Gregg Greenberg), Channel NewsAsia (with Lin Xue Ling), iMoney Hong Kong, Hedge Fund Brief, The Wall Street Journal, The New York Times, Dallas Morning News and Los Angeles Times. He has been engaged as speaker at Harvard Business School’s 17th Annual Venture Capital & Private Equity Conference, High-Frequency Trading Leaders Forum 2011 (New York, Chicago, Hong Kong, Sao Paulo, Singapore), CFA Singapore, Hong Kong Securities Institute, Courant Institute of Mathematical Sciences at New York University (New York), Global Growth Markets Forum (London), Middle East Hedge Funds Investors Summit 2012 (Dubai, UAE), among other global forums. Mr. Perez was a vice president at Citigroup, a senior consultant at IBM, and a consultant at McKinsey & Co. in New York City. Mr. Perez has an undergraduate degree from Universidad Nacional de Ingeniería, Lima, Peru (1994), a Master of Administration from Universidad ESAN, Lima, Peru (1997) and a Master of Business Administration from Columbia Business School, with a dual major in Finance and Management (2002). He belongs to the Beta Gamma Sigma honor society. Mr. Perez resides in the New York City area and is an accomplished salsa and hustle dancer. Mr. Edgar Perez, author of The Speed Traders, An Insider’s Look at the New High-Frequency Trading Phenomenon That is Transforming the Investing World (http://www.thespeedtraders.com), will be presenting at upcoming Middle East Hedge Funds Investors Summit 2012, January 22-24, Jumeirah Beach Hotel Dubai, UAE, on “The Present and Future of High-Frequency Trading”. The Middle East Hedge Funds Investors Summit 2012 is the region’s premier meeting place for Middle East Institutional Investors, SWFs, Pension and Insurance Funds, HNWIs, Investment Houses and Family Offices. In an exclusive association with CNBC Arabiya, Middle East Hedge Funds Investors Summit 2012 offers unique access to the region’s alternatives and hedge funds investors and an expert speaker faculty featuring Regional Investors, Economists, and Investment gurus, Wealth Managers, Strategists and Star Managers. The Middle East Hedge Funds Investors Summit 2012 brings insights from top Middle East investors on how and why Middle East investors are responding as New Portfolio Managers with New Mandates post Madoff. With Middle East investors contributing on a host of influential topics and panels, attendees get real insights into what needs to be done and required by these Middle East investors to overcome the hurdles for successful hedge fund investing. Attendees hear the latest investment strategies discussed to get an in depth analysis of the Investors take on the key issues of Liquidity, Risk, Transparency, Portfolio Management, Due Manager Selection, Benchmarking and the performance of Managers, Funds and Alpha. Mr. Edgar Perez, author of The Speed Traders, An Insider’s Look at the New High-Frequency Trading Phenomenon That is Transforming the Investing World (http://www.thespeedtraders.com), will be presenting at Institutional Investor’s Global Growth Markets Forum, Achieving International Investment Standards, in Waldorf Hilton, London, November 2nd. He will be interviewed on the topic “High-Frequency Trading Opportunities in Emerging Markets”. The stock exchanges and the securities houses in many growth markets globally are keen to increase capital inflows, and this means improving the factors international investors care about most: regulations, rules, and infrastructure. These exchanges and brokerages understand that, to capitalize on investors’ growing appetite for emerging markets/frontier assets, they need to be able to offer US and European institutions comfort their investments are being made in an efficient, transparent, and globally competitive manner. This Global Growth Markets Forum, co-hosted by Institutional Investor and Marco Polo Capital Markets, will assess the steps exchanges and other important players in these economies now driving global economic growth are taking to achieve international standards. Experts will evaluate the progress of the exchanges and the securities houses regarding each of the central pillars of sound investing: regulation, compliance, and execution. Delegates will acquire an in-depth understanding of the investment opportunities and the status of the capital markets in the global growth markets from the leading domestic security houses and other experts. Mr. Perez is widely regarded as the pre-eminent networker in the specialized area of high-frequency trading. He has been featured on CNBC Cash Flow with Oriel Morrison, BNN Business Day with Kim Parlee, TheStreet.com with Gregg Greenberg, Channel NewsAsia Cent & Sensibilities with Lin Xue Ling, The Wall Street Journal, The New York Times, The Dallas Morning News, Los Angeles Times, iMoney Hong Kong, Hedge Fund Brief, Oriental Daily News Hong Kong, and more. He has been engaged as speaker at Harvard Business School’s 17th Annual Venture Capital & Private Equity Conference, High-Frequency Trading Leaders Forum 2011 (New York, Chicago, Hong Kong, Sao Paulo, Singapore), CFA Singapore, Hong Kong Securities Institute, Courant Institute of Mathematical Sciences at New York University (New York), Global Growth Markets Forum (London), Technical Analysis Society (Singapore), Middle East Hedge Funds Investors Summit 2012 (Riyadh, Saudi Arabia), among other global forums.